I went gluten-free two weeks before Thanksgiving Day 2010. 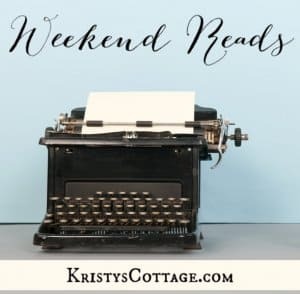 I had a really good reason: our newborn son, Colton, was failing to thrive. I’m not going to get to eat any cornbread dressing at Thanksgiving! 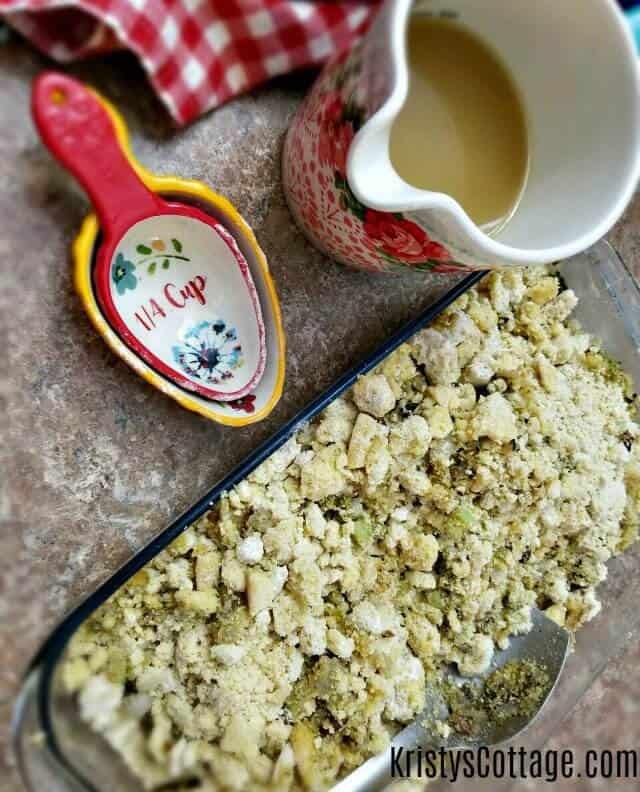 The results were this mouth-watering and simple-to-make gluten free dressing (or holiday stuffing, if that’s what you call it at your house). 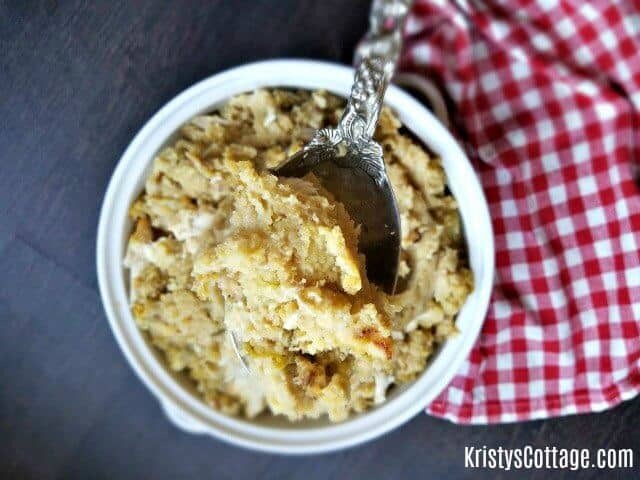 I used my grandma’s cornbread dressing recipe, tweaked to accommodate our new gluten-free lifestyle, as the starting point for this amazing dressing. Seven years later, this holiday dressing is the Star Dish at our Family’s Thanksgiving and Christmas table. 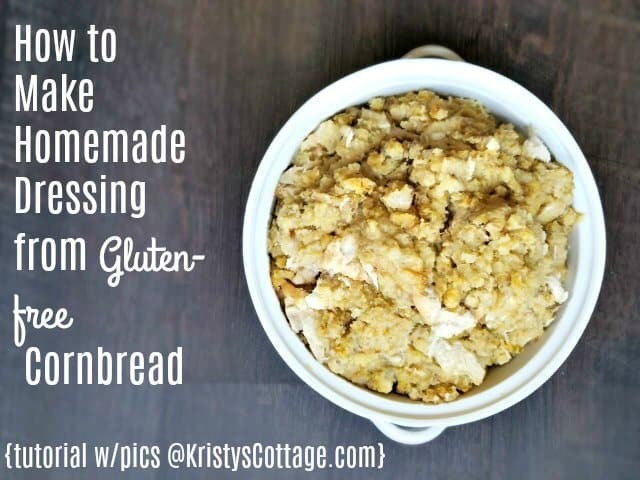 I hope your family enjoys this recipe as much as our does! 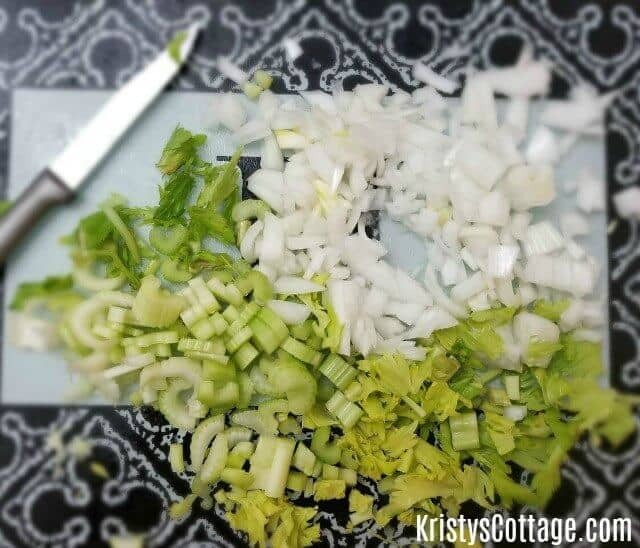 Just in case you’re new to making homemade dressing, I’ve included a tutorial with pictures (scroll past the recipe below) to guide you every step of the way. Our holiday table wouldn't be set without this delicious side dish! 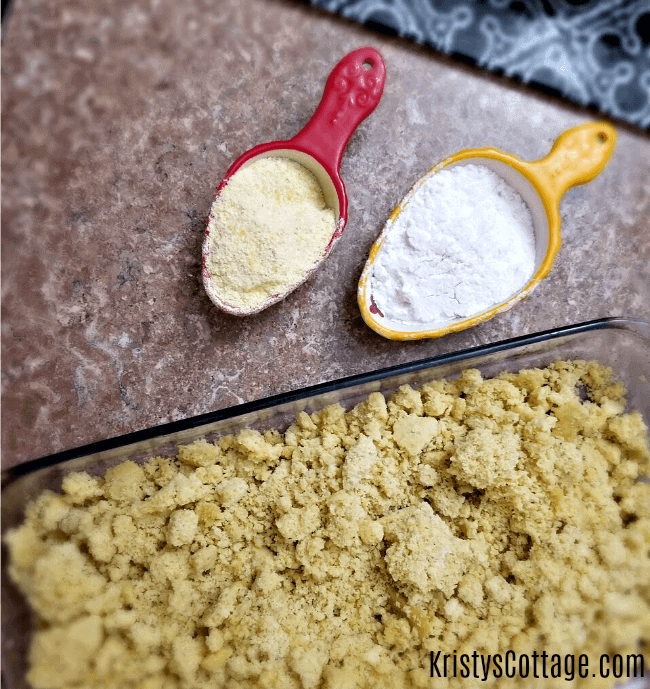 Crumble cornbread into a large mixing bowl. Mix in gluten-free flour and corn meal; set aside. In a large cast iron skillet, melt about 4 TBSP of the butter; saute onion, celery, and garlic in hot butter. While vegetables cook, add about half the amount of the spices; stir well. Once the vegetables are tender (about 10 minutes), remove and place them in a large, shallow baking dish. Stir in the crumbled cornbread and remaining spices; mix until ingredients are well combined. Add 2 cups of the chicken stock and stir. For added, moisture and flavor, add several pats of butter (I use about 4 TBSP) on top of your stuffing before you place it in the oven! Bake in a pre-heated 325-degree oven for about 45 minutes. Stir occasionally; add additional broth, if needed, to keep the stuffing from drying out. When the stuffing is finished baking, it should be fluffy: neither overly moist nor dry. 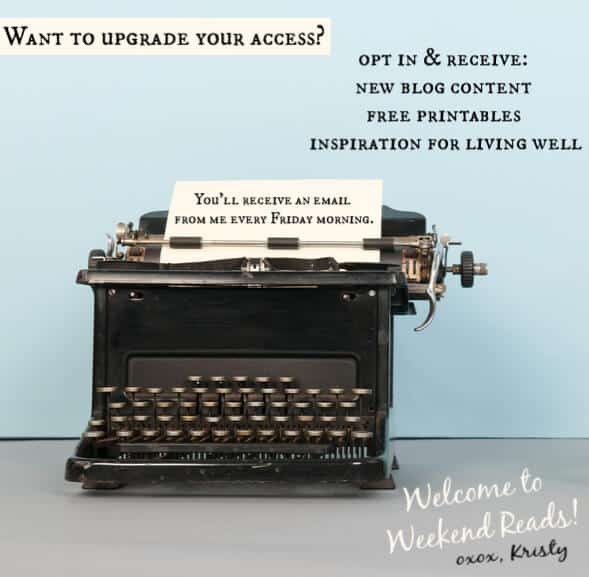 Here are the basic ingredients you’ll need. I use organic, store-bought chicken stock. For this tutorial, I used an extra batch I had previously baked, crumbled and popped into the freezer. It made the dressing prep SO easy! Chop the onions and celery super fine! The garlic too, if you’re using fresh. 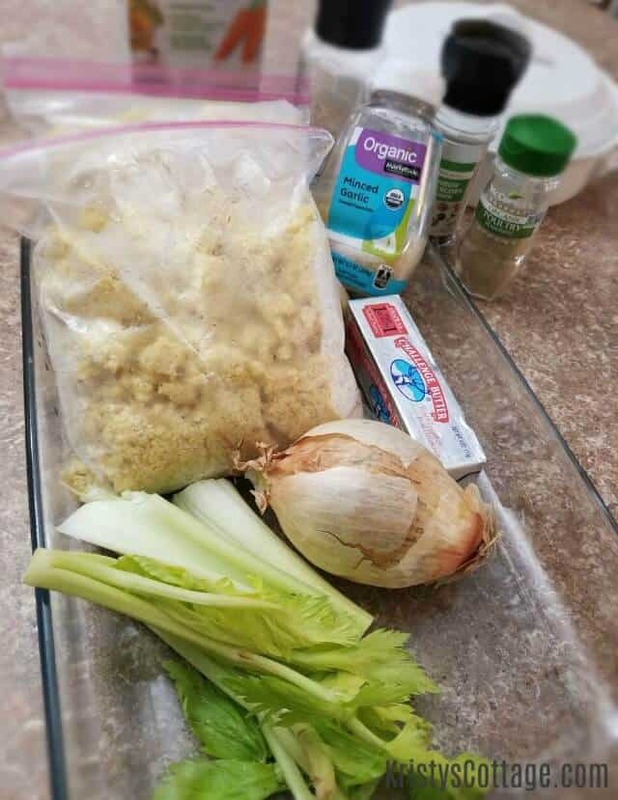 For this tutorial, I took a short cut and bought a bottle of organic, minced garlic. Next, melt 4 TBSP of butter in a skillet, then saute the celery, onions, garlic and about half of the spices in the butter! Let your veggies and spices cook down for about 8 to 10 minutes, until the onions are clear. Make sure you stir the mixture often so the veggies don’t scorch! 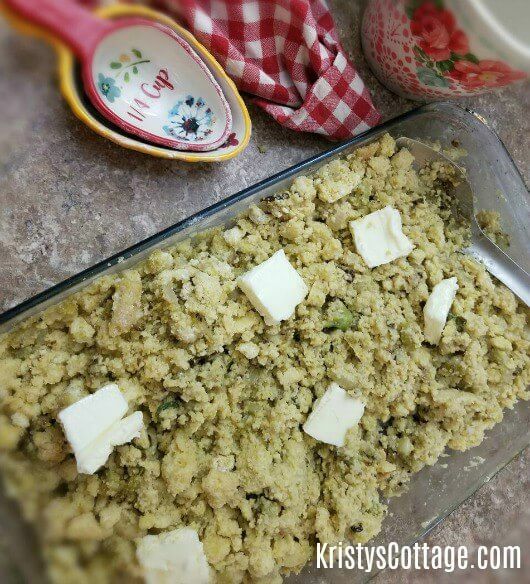 Place your crumbled cornbread into a 9×13-inch baking dish. Stir in 1/2 cup of the gluten-free flour, and 1/4 cup corn meal. 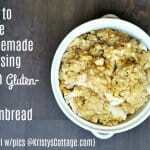 This year, I’ve switched to BetterBatter gluten-free flour and I absolutely love it! Next, add your remaining spices AND the sauted veggies. Give them a gentle stir until everything is just combined. Next, pour two cups of the chicken stock over your cornbread mix! Your cornbread mixture will be super soggy right now, and that’s okay! In fact, it’s GOOD! You want the mix to be really moist and mushy at this point. Believe me, all that “mush” is going to bake right out of your yummy dressing! Slice the remaining 4 TBSP of butter into chunks and place them over the dressing mixture. This adds so much flavor to your dressing! Place it in a preheated oven and set the timer for 45 minutes. After about 30 minutes, I always check the dressing. If it looks a little dry, I add a cup or so of extra chicken broth. 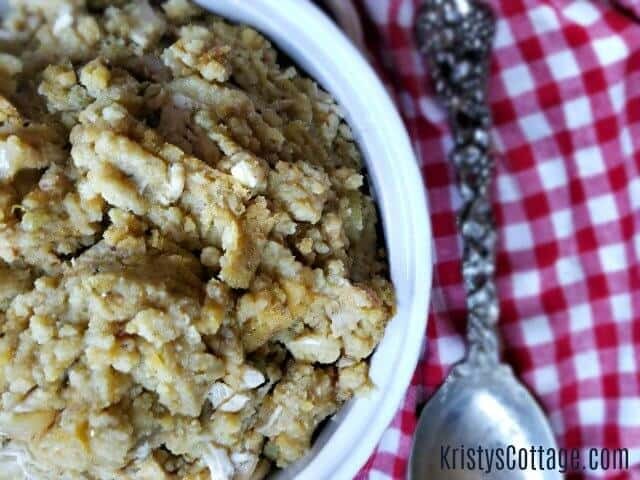 If you want to add cooked, cubed chicken or turkey to the dressing, you can do that about 30 minutes into the cooking. I simply add the meat and about 3 more cups of stock, and give it a gentle stir. I added left-over routissouri chicken to my dressing last week, and it made the BEST chicken and dressing for supper! So how do you know when you’re dressing is done? The dressing is done when it’s reach an even not-too-sticky, fluffy texture, and is slightly browned on the top and sides. Your entire kitchen should be smelling heavenly by now! 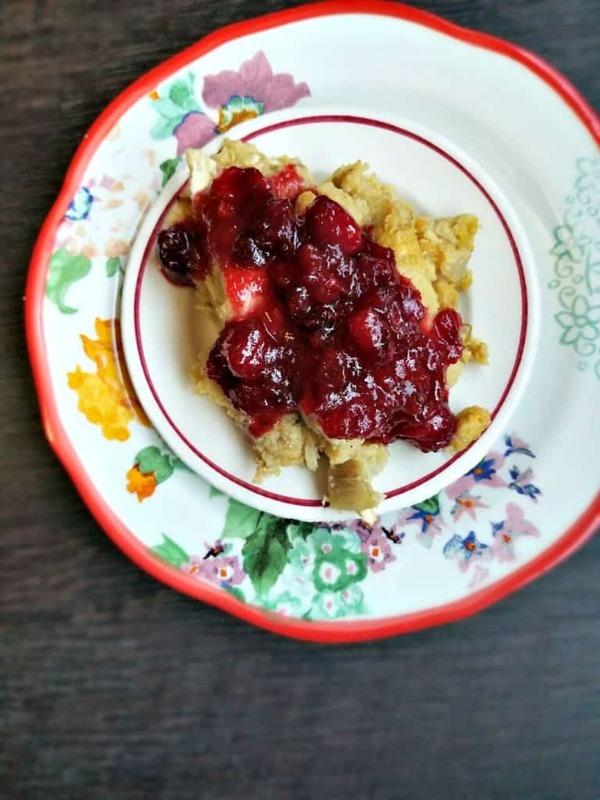 Go ahead and whip up a super easy batch of homemade cramberry sauce to pour over your dressing! My husband thinks he’s in holiday heaven when I set these two dishes together on the table! You really can’t have one without the other, right? 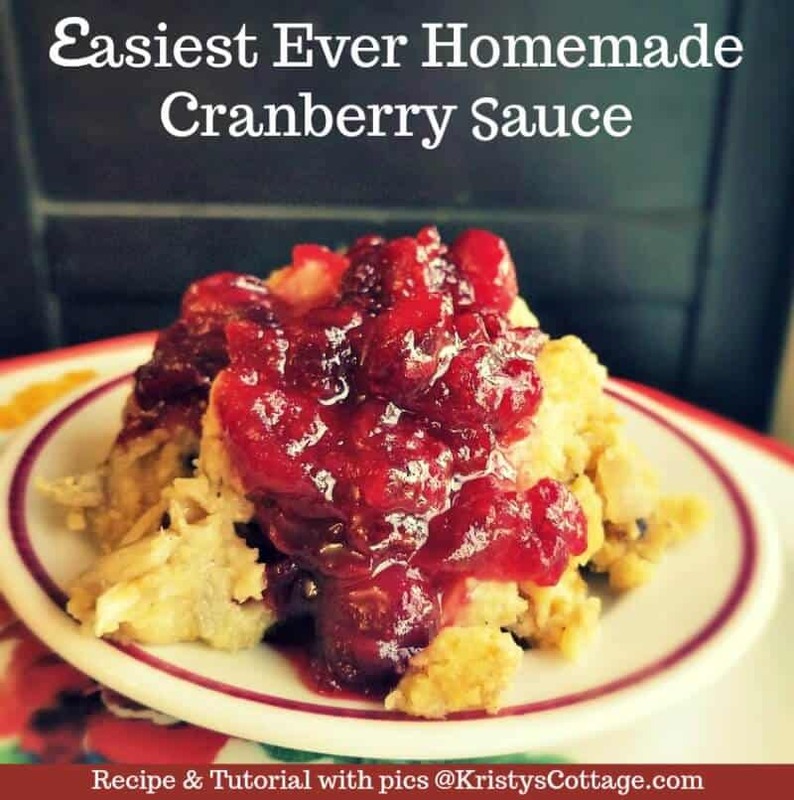 Click on this mouth-watering pic to grab the easiest ever cranberry sauce recipe!